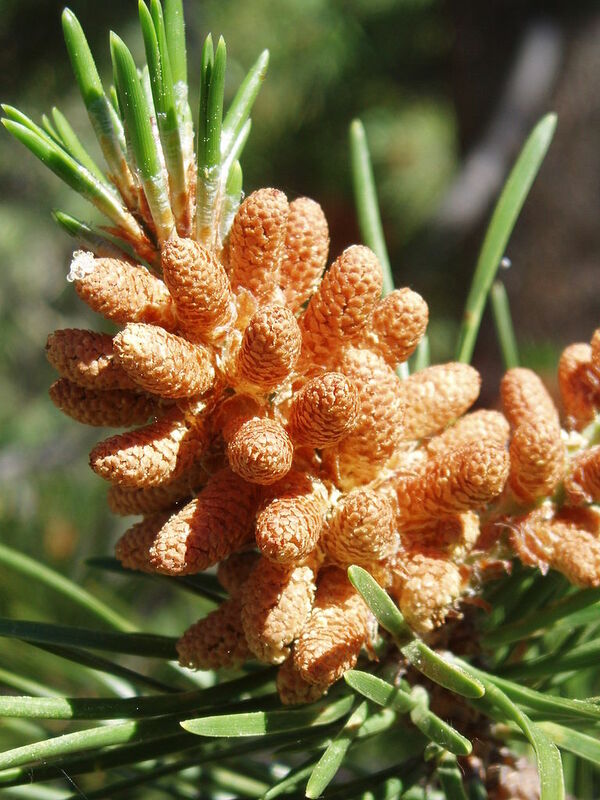 Conifers (Class Pinopsida) are a diverse group of gymnosperms with linear or scaly evergreen leaves that bear seeds within cones. Most conifers are large trees, but a few are shrubs. The world’s tallest tree is a conifer known as coastal redwood (Sequoia sempervirens), and it can grow more than 100 meters. The oldest living tree (estimated to be 4,700 years old ) is also a conifer known as Great Basin Bristlecone Pine (Pinus longaeva). This particular tree germinated around the construction of the very first Egyptian stone pyramids! It’s location is kept secret. 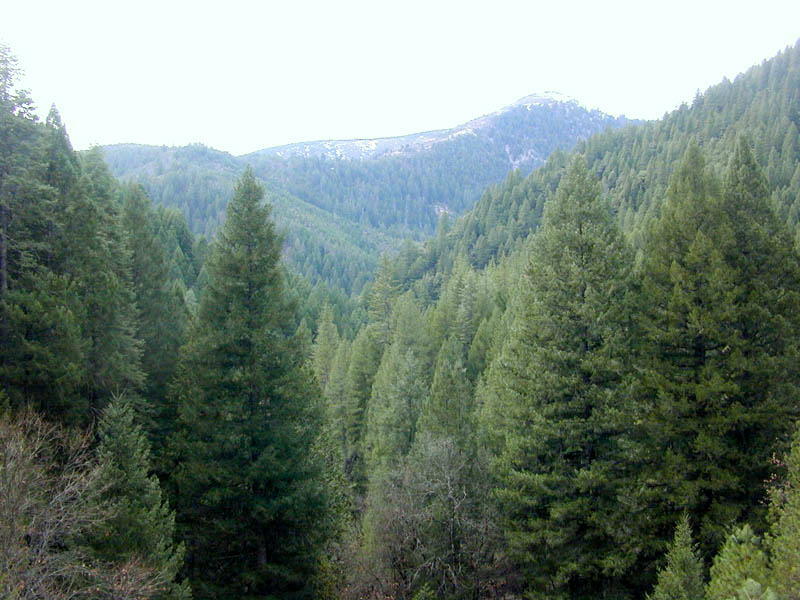 Although species diversity of conifers is relatively small, they are of immense ecological importance. They are the dominant plants over huge areas of land, most notably the boreal forests of the northern hemisphere. Such conifers have many wintertime adaptations. The narrow conical shape of northern conifers, and their downward-drooping limbs help them shed snow. These widespread coniferous forests are considered to be the world's largest terrestrial carbon sink, converting gaseous carbon dioxide into sugar removing it from the atmosphere. In this respect, conifers are a key player in moderating global climate patterns. Conifers are ubiquitous in northern lattitudes. Many are cone-shaped that allow snow to easily be shed. Photo: Eric Guinther 2004. Source: Wikimedia Commons. Pinus contorta. Photo: Walter Siegmund. Source: Wikimedia Commons. Pinus contorta. Photo: M. Simmonson. Source: Wikimedia Commons. Cypress lawsoniana. Photo: Josher8a 2012. Wikimedia Commons. Members of the family Pinaceae have linear leaves. Pseudotsuga menziesii. Photo: Magnus Manske 2008. Source: Wikimedia Commons.